1. How to indicate the opaque area on a frosted card? If you want a colour to be opaqueness, we can add the white blocker under the colour to increase it opaqueness at extra cost. Adding white blocker is an opaque layer behind the printing to make it pop off the cards and add opaqueness. 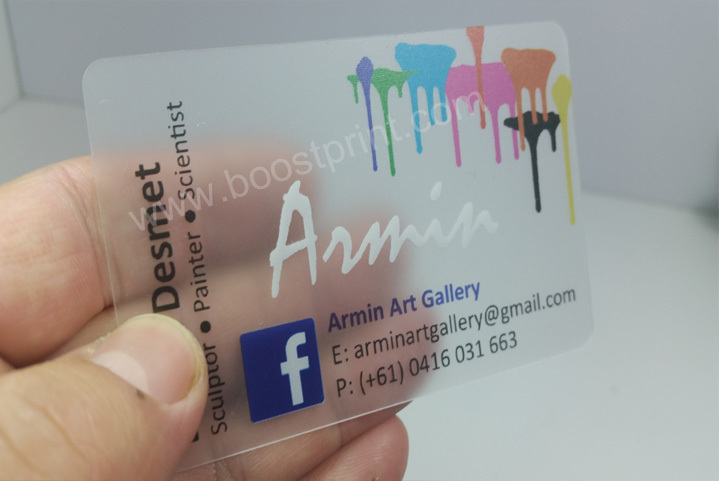 3.Can I get the Clear Frosted Business Cards double sided? 4. Can Clear Frosted Business Cards be written on? 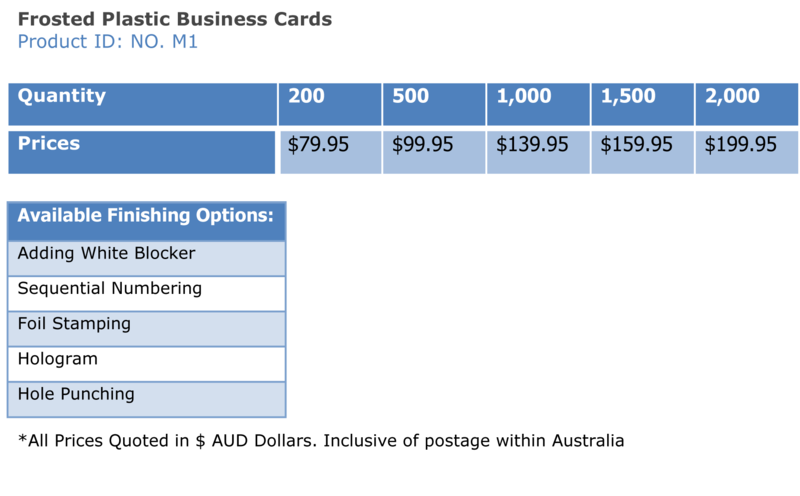 5.Can I have white text on the frosted plastic cards?